DeZURIK’s Hilton is able to design and fabricate a wide variety of specialized equipment to meet customer specification requirements. Fabricated construction allows unlimited design flexibility in terms of size, pressure capability and temperature limits. Hilton’s Partnership Design Programs bring together our experienced design engineers with customer tpo conduct situation analysis for joint development of application-based and problem solving designs. 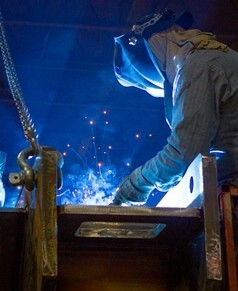 Capabilities include in-house fabrication, welding, hard facing, machining, assembly, testing and quality control. See Application Solution #206 posted below on a Hilton Custom Damper in a Power Plant Condenser System in a Power Plant.